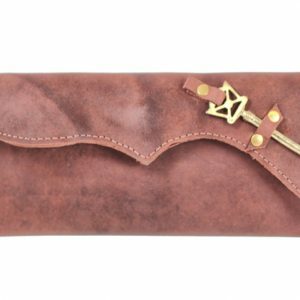 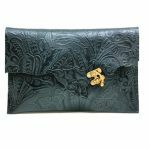 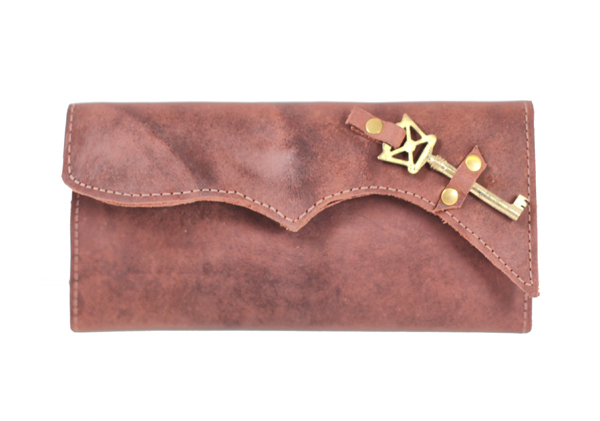 Divina Denuevo’s Portobello Cupid’s Bow Long Wallet offers a hint of antique charm on a timeless classic. 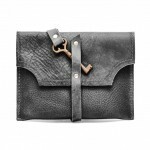 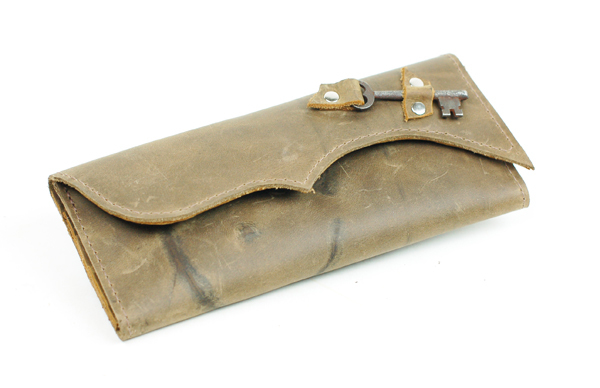 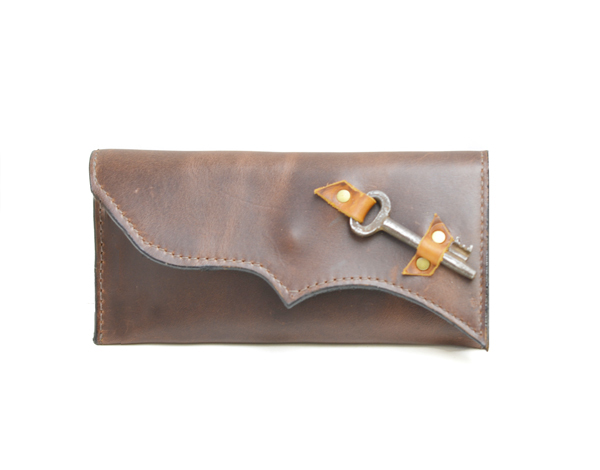 Using an authentic antique skeleton key as an accent, no two wallets will ever be the same. 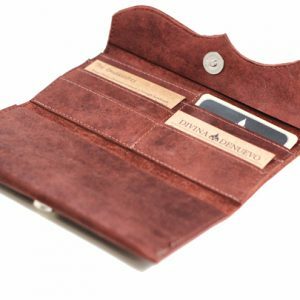 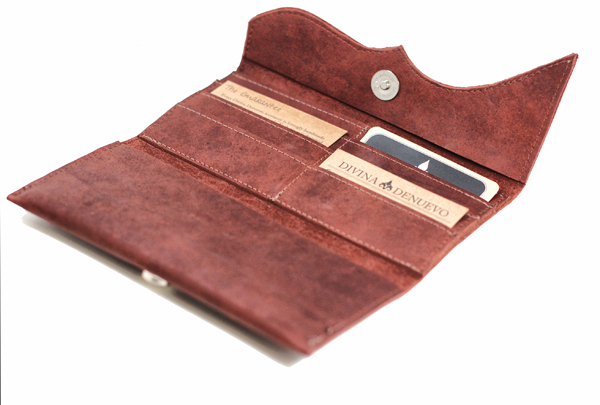 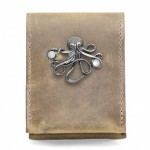 This wallet was designed for those who like to carry all their cards, cash, cheques and more in one convenient place. 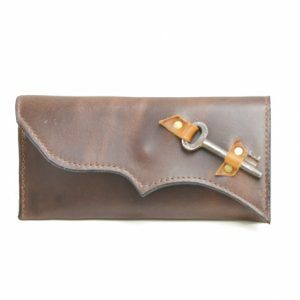 With 6 card slots (that can fit at least 4 cards in each), and two large pockets for cash, cheques, and receipts, it can fit much more than you’d expect! 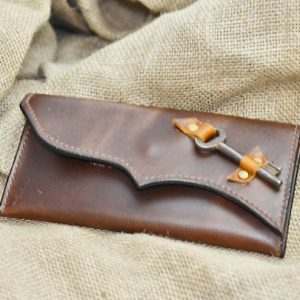 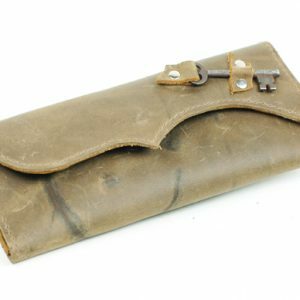 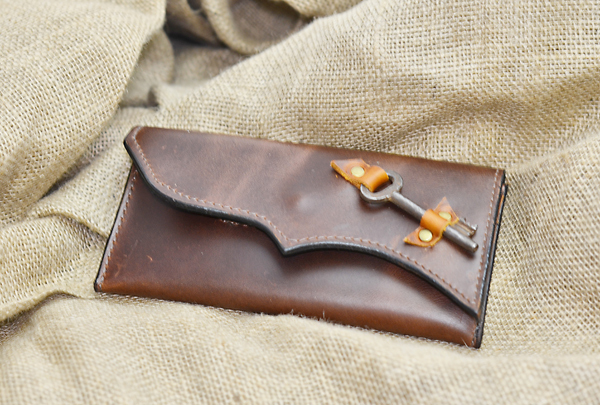 Made using a beautiful oil tanned leather featuring a unique cupid’s bow flap shape, this wallet is accented with an authentic, antique skeleton key affixed with matching hardware. 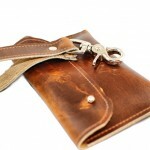 Inside the wallet there is a label that tells you where the key on the wallet came from! 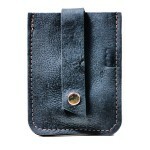 Sewn with industrial grade polyester thread. 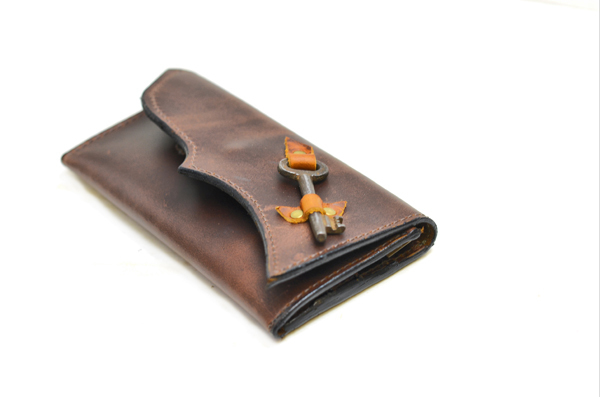 Important Note: The wallets pictured feature brand markings. 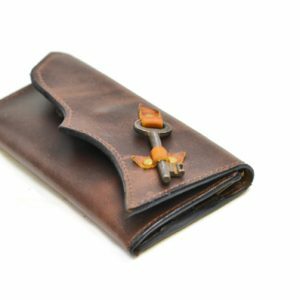 If you specifically do not want any brand marks on your wallet, please include this request in the “order notes” during checkout. 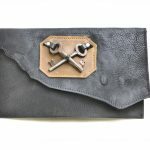 We work with leather that features scars and brandmarks because we don’t believe in wasting leather, and because we believe that it’s these markings and perfect ‘imperfections’ that make each and every piece unique.